Over the last couple of seasons Steelers fans have demanded changes within the organization they are passionate about. While those changes haven’t reflected the most egregious of requests (“Fire Tomlin”, “Fire Butler” in mind) the team has made several switches going back from last season. Those changes have come about starting with a loss in the AFC Championship game to end the Steelers 2016 season. Pittsburgh looked like a potential Super Bowl contender in 2017, but an early exit from the postseason (in their first game) following a 13-3 record, plus missing the playoffs in 2018 have forced a culture change in the Steel City. Following two disappointing seasons, Pittsburgh's front office has made some significant alterations to their coaching staff. Here’s a look at the changes that were made and those that are ongoing. One of the most vocal cries for change was addressed last season when the Pittsburgh Steelers did not renew the contract of previous offensive coordinator Todd Haley. Despite making record strides as an offense, including career, All-Pro status numbers for players such as Ben Roethlisberger, Antonio Brown, and Le’Veon Bell, Haley was shown the door. In his place, former quarterbacks coach Randy Fichtner immediately took over as the OC: even coaching with the Steelers staff in the same position during last season’s Pro Bowl. For better or worse, Ben Roethlisberger led the league in passing in 2018 under Fichtner… the worse being that Big Ben also led the NFL in interceptions. It appears that Pittsburgh was pass-happy under Haley and that trend continued further under Fichtner, who had the personnel to run four wide receiver sets (something not seen often with Haley) as well as viewing short passes as “running plays” often to the detriment of the rushing game. Continuing on the offensive side of the ball, the Steelers have seen changes with their position coaches. I’ll start first with the backs and receivers, as James Saxon was not renewed for 2019 and is reportedly taking the same job with the Arizona Cardinals. The outlook of these two coaching positions may have a big impact on the Steelers two position groups. Saxon receives some credit for developing Le’Veon Bell as an All-Pro, and helping James Conner and Jaylen Samuels slide right into Bell’s role this season. Saxon joined the Steelers in 2014, so Bell had one season without him as a position coach. Therefore, one could argue that the offensive line is as responsible for the running game’s success, or failures, as the position coach. Also consider that backup running backs LeGarrette Blount and DeAngelo Williams were already polished veterans before joining the Steelers and perhaps Saxon’s departure isn’t technically linked to his job performance. Typically, the Steelers won’t fire coaches and simply let their contracts expire. Therefore, this may have been a move that was already in progress over the course of 2018. Richard Mann, who retired prior to the 2018 season, was credited with turning the Steelers into a “wide receiver factory”. He was replaced by Darryl Drake who only has one season to show for, but had a great room with Brown, JuJu Smith-Schuster, Justin Hunter, Darrius Heyward-Bey, Ryan Switzer and Eli Rogers to work with. We’ll see how Drake does this season, given the current climate of the locker room and some changes that may occur with trades and free agency. The biggest shake up so far this offseason is the latest news making headlines: Mike Munchak has accepted a job with the Denver Broncos. While fans are reacting differently to this “lateral” move, Munchak apparently made the decision to be closer to family living in the Denver area. 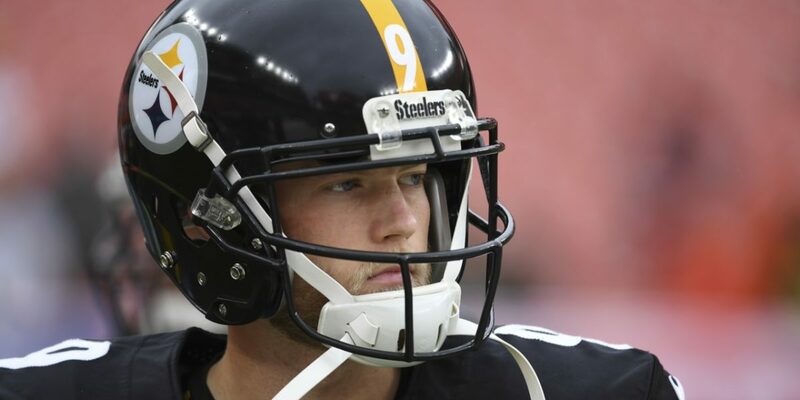 Yet, the loss will definitely be felt by the Steelers, who have seen their franchise quarterback sacked less, in record amounts even, while also helping to develop multiple Pro Bowl offensive lineman and further take undrafted free agents such as B.J. Finney and Matt Feiler, and mold them into suitable starters. Munchak had been the subject of head coaching searches each offseason and the Steelers prepared for his departure in advance by promoting Shaun Sarrett to Assistant Offensive Line Coach for 2018. The promotion was to brace for Munchak’s departure, as his contract expired following the 2018 season. Sarrett will now takeover Munchak’s job in 2019. For more on how these changes impact the Steelers, take a look at our previous articles Why the Steelers will miss offensive line coach Mike Munchak and Why the Steelers didn’t “lose” Mike Munchak. A subtle change occurred leading into the 2018 season when longtime defensive line coach John Mitchell stepped aside from his position to focus solely on being the team’s assistant head coach: a role he took on when Mike Tomlin was hired as the head coach in 2007. Flying under the radar to many, Mitchell is the longest tenured coach on the staff, joining the Steelers in 1994 under Bill Cowher as the team’s defensive line coach. Mitchell’s replacement was college football’s equivalent to Richard Mann, in that Karl Dunbar is renowned for creating monster defensive linemen at the University of Alabama. In just one short year, we’ve seen Dunbar’s imprint on the play of Javon Hargrave and Daniel McCullers, who both improved in 2018. We may expect more in future seasons as Dunbar settles in and works with a great group that also includes defensive captain Cameron Heyward and Stephon Tuitt. A lot of criticism flew in the face of the organization when they also allowed outside linebackers coach Joey Porter’s contract to expire. Porter will not return and word on the street is that defensive coordinator Keith Butler will assume his previous role of coaching the position, in addition to heading up the entire defense. Porter had reportedly tried to divide the locker room, while also getting flack for a lack of explosive pass rush with first round draft picks Jarvis Jones and Bud Dupree, as well as the saga that saw James Harrison leave Pittsburgh before the conclusion of the 2017 season. Porter also made headlines for off-field issues, such as a bar fight. He had always been vocal as a coach and a player, but with the current locker room culture, he was clearly someone the team wanted to move on from for whatever other reasons they have kept behind closed doors. One of the most criticized areas of the team over the last several seasons has been the secondary. Draft picks and free agent pickups have shored up some of the talent, but it’s the coaching staff which has dramatically changed since 2017. Former DB coach Carnell Lake was let go, with longtime Penn State assistant Tom Bradley taking over in 2018. With the Steelers playing their base 3-4 20% or less now, the team felt they needed to make additional moves. Since their outside linebackers are being used more in coverage, and less in the base package, Butler has the ability to help in those few situations where the secondary coaches aren’t required. However, with more DB’s on the field these days, the team felt they had to add another mentor to their staff. Enter Teryl Austin, a former defensive coordinator of the Cincinnati Bengals and Detroit Lions, as well as a secondary coach for three seasons with the Baltimore Ravens, as well as several college programs. Austin has been named Senior Defensive Assistant/Secondary, but its assumed he may take responsibility with the cornerbacks while Bradley oversees the safety position. The addition makes sense in a pass-happy NFL, but also figures to be akin to having more students in a classroom to a single teacher. Breaking up the responsibilities will help the Steelers focus more on their nickel, dime, and dollar subpackages which are heavy on using defensive backs. The duo can also help groom hybrid-style players who may assume linebacker-type roles, often referred to as a “dimebacker”. 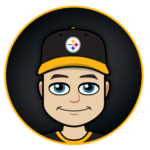 Morgan Burnett, Terrell Edmunds, and Marcus Allen all project as players who fit this role and adding another brilliant mind such as Austin can only help improve the team against proficient passers. 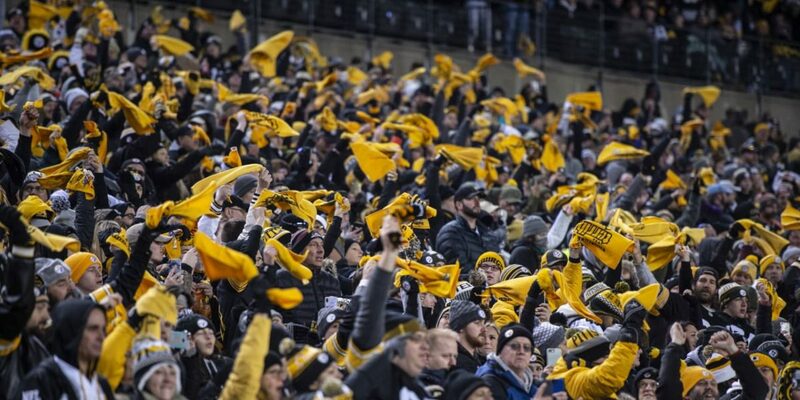 There has been a large demand for change in the Steel City and those changes have been in progress over the course of the last two offseasons. The jury is still out on how the running backs, receivers, and wide receivers will develop: and don’t forget that Randy Fichtner is pulling double-duty with the quarterbacks too! On the defensive side of the ball we’ll see a transition as Keith Butler oversees the outside linebackers once again, with Tom Bradley getting some help with the defensive backs with the hire of Teryl Austin. 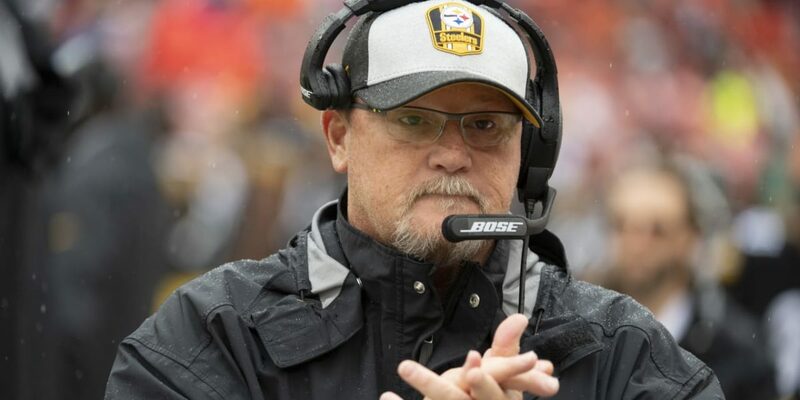 That leaves Tomlin, Fichtner, Butler, Sarrett, tight end coach James Daniel, inside linebackers coach Jerry Olsavsky and special teams coach Danny Smith as the only holdovers prior to the 2018 season with Haley, Mann, Saxon, Munchak, Porter and Lake leaving, and Mitchell stepping aside from the defensive line duties.